Headshots for your most valuable employees? CEO’s, Managers, and Leaders just about everywhere will attribute much of their success to the hard work of those that work for them. Without a great team of dedicated employees, companies would simply not be able to get the job done and would fall short of meeting their customers needs. The questions becomes how can these managers and leaders recognize their employees in a meaningful way. I recently had the privilege of photographing some outstanding employees recently for a large corporation. 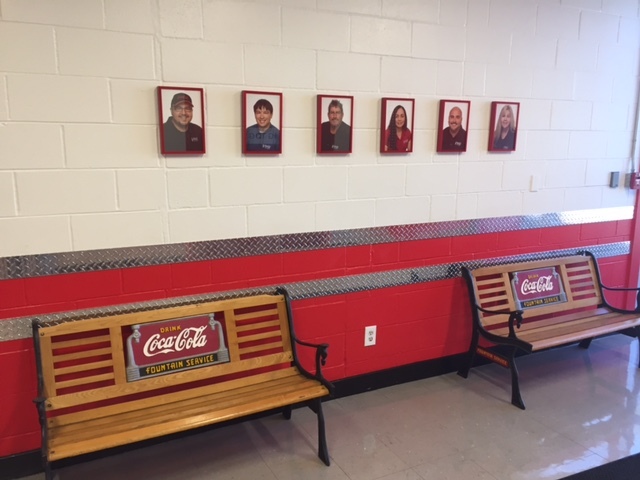 Their manager had the idea to recognize their contribution but placing their photos on the wall in their production facility. This is a cell phone picture of the start of the display and we provided both the photography and the custom red frames to match the companies branding. This was a fun project for us to work on and we were excited to be able to help recognize these very special employees in this way. How do you recognize your employees and make them part of your business? Have you considered a photo display in your lobby or work area to honor them?